The world championships in Falun 2015 has been an important competition for all athletes and teams, supporters, sponsors and for the whole ski business and the society. The audience got a fantastic championships experience except from the participants. Team Lukas Bauer and many other race teams has been preparing themselves for the best possible results in Falun. 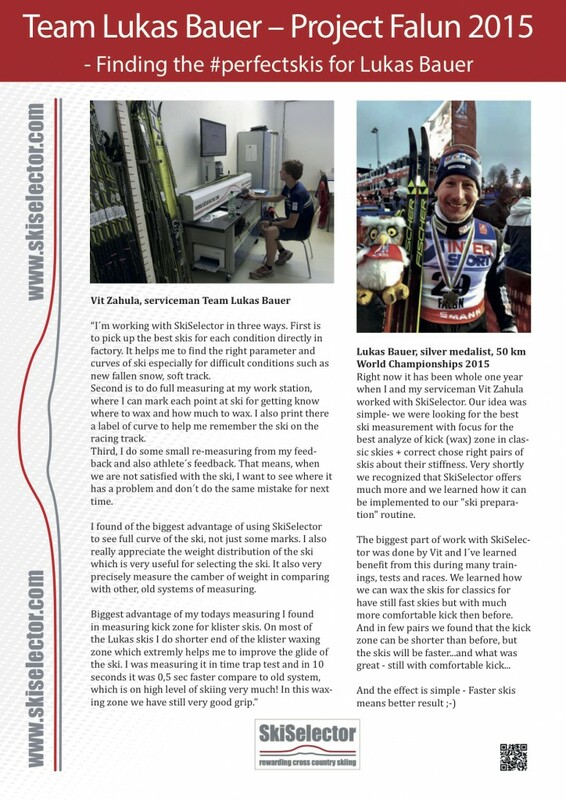 Petter Northug, Lukas Bauer, Piteå Elit and some others has been working with SkiSelector since 2014 or longer. SkiSelector was participating as well.